Florida’s quest to implement online voter registration – a bill with overwhelming support from county election officials and the legislature – got a little bit closer to enactment yesterday, but not without still more twists and turns before enactment. The Florida House on Tuesday overwhelmingly endorsed a new system of online voter registration, but added a new wrinkle. Over the opposition of county election supervisors, Rep. James Grant, R-Tampa, added a provision that bounced the bill back to the Senate for another floor vote. Although the House abruptly ended its regular session Tuesday, the Senate will still be considering measures Wednesday. The House vote of 109-9 came a day after the Senate had passed the bill on a 34-3 vote. Grant’s amendment seeks to ensure “data integrity” and requires the state to make a “comprehensive risk assessment” of the online registration system every two years. The Senate sponsor of the bill, Sen. Jeff Clemens, D-Lake Worth, said the Senate would agree to the new provision and send the bill to the governor. Pasco County Supervisor of Elections Brian Corley emailed House members with the message that Grant’s amendment isn’t needed and that his concerns can be addressed bureaucratically. “In short, not needed,” Corley said. Grant’s amendment becomes even more important because the House yesterday adjourned sine die three days early – in an unrelated budget dispute with the Senate over Medicaid expansion – meaning that the Senate must accept the bill as is in order to send it to Governor Rick Scott, who is widely believed to be resisting. County election supervisors have been lobbying for the online system for months, but they are concerned that Scott might veto the bill (SB 228). His chief elections official, Secretary of State Ken Detzner, has spent the 2015 session trying to kill the bill, warning that “forces of evil” will try to disrupt Florida’s election machinery in the 2016 presidential election. In an effort to appease Detzner, legislators agreed to delay implementation of the system until October 2017 and set aside $1.8 million, but Detzner has remained firmly opposed to the idea. He said his Division of Elections and the state highway safety agency are both in the midst of major upgrades to their computer systems. Supervisors wrote to Scott on April 16, asking to meet with him to ease any concerns he might have. “In examining online voter registration, we have found there to be only positive gains from the concept: lower costs, more security and greater accuracy,” wrote Jerry Holland, supervisor of elections in Duval County and president of the state association of supervisors. Holland said he has received no response from Scott, other than a confirmation that the letter was received. The good news for OVR supporters is that the bill seems to have overwhelming and veto-proof support; the bad news is that they believe the new “data integrity” provisions could be used as an excuse to go slowly or halt progress on OVR implementation. The next week or so should be exciting … once again, Florida finds a way to work its way into the headlines. Pop yourself some popcorn and stay tuned. 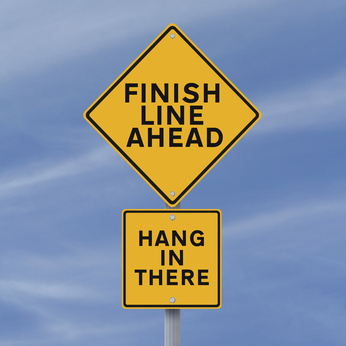 Be the first to comment on "Florida OVR: *Almost* There … But Challenges Remain"